Israel’s geographical position and international relations puts it in a position of huge influence in continuing conflicts in the Middle East as well as its own peace process with the Palestinian territories. And it is in this context Israel’s election became important. Like any democratic elections it was also fought with hope to change. Change in terms of policy, governance and leadership. Since Netanyahu’s popularity was hitting low domestically on matters of governance and internationally due to his differences with U S and Europe over slow progress on Arab-Israeli peace deal. So, by and large, he has been perceived as a relatively weak candidate. In this context, the election result came as a surprise for many, largely because of Netanyahu led Likud party unexpected win. 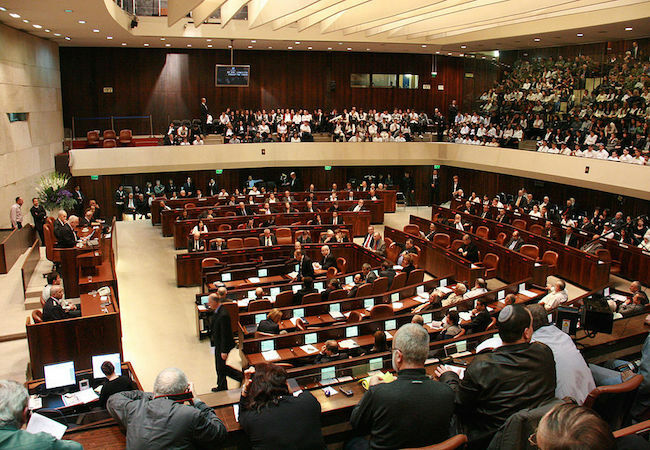 In fact, they not only win election rather secured 30 seats out of 120 in Knesset and emerged as a largest political party despite of unfavorable domestic climate and bitter and divisive poll campaign. There are other reasons which makes this election result more significant, which are (a) Netanyahu’s 11th hour poll campaign, where he asserted no statehood for Palestine, thereby he reversed his own commitment of two state solutions of Palestine issue (b) and his criticism over US – Iran nuclear deal during his US congressional speech, which not only added another inch to his differences with Obama but forced world leaders to think Israel’s role in stabilizing the region, under his leadership. Now since he has won and formed coalition government. It has become important to understand that how he would impact the domestic politics and maintain its relations with Palestine, US and Middle East in the months to come. This result has larger implication for Israel itself and West Asia Peace too. Implications of Netanyahu victory in Israel’s domestic politics can be seen mainly in the contexts of domestic issues and resumption of Arab-Israeli peace process and growing differences with Obama. It is common in democracy that domestic issues shape the domestic political environment in pre-poll and post-poll conditions. Israel election is similar in that sense. And therefore, how Netanyahu deals with the prevailing issues like unaffordable housing, high cost of living, and growing inequality would set the direction of entire domestic politics in the months to come. These are governance issues and by products of the previous government’s bad governance. Although, Netanyahu smartly galvanized the security sentiments of the voters in the death hours of election campaign and rose to power, but people’s of all sections be it right-wing, left-wing, centre-left are facing the heat of socio-economic issues. And second how soon he resumes negotiations with Palestinian authority, repairs relations with US and Middle East and most importantly, maintain Israel as a relevant player in world politics. In the recent past, his criticism over US-Iran nuclear deal and rejection of two state solutions for Palestine issue has alienated many in Europe. In fact, the European Parliament and several European national parliaments have voted to recognize a Palestinian state. And therefore, it would be difficult for Netanyahu, this time, to corner Palestinian issues for longer period. In this context he needs to gather support from his main opponent Zionist Union, who once led the peace deal in past and favors the two state solutions of Palestine issues. Netanyahu reelection would have direct bearing on Palestine statehood demand because of Netanyahu’s outright rejection of Palestinian statehood. And it could be said that Netanyahu reelection has faded the hopes of peace negotiation with Palestine. He has upped the ante by rejecting Palestinian statehood in the view to regain power. Although, his tactic worked and produced immediate result for him but it would have larger impact in the longer run. The demand for Palestinian statehood emerged out the two state solutions dictated in Oslo Accords of 1993. According to the theory, there would be an independent Palestinian statehood side by side Israel, in Gaza and most of the West Bank leaving the rest of land to the Israel. Though, there has not been any progress made to materialize solution so far mainly because of the disagreement between states over practical approach to the solutions as well as the intermittent break-down in Israel-Palestine relations. Any peace solutions to prosper and sustain requires stability in the relationship. Stability can’t be achieved by either ignoring Israeli Arab’s in Israel or Hamas in Gaza. And in this light, Netanyahus’s diatribe against Israeli Arab citizens during election campaign can be perceived as a poor tactic of wooing rightwing voters for the short term political gain at the cost of increased social divide. This social divide and marginalization of Israeli Arab foster unwarranted distrust among Palestinians and Hamas, about Netanyahu’s leadership. Hence, it would be important to see in the months to come that how Netanyahu plans to engage with the Israeli Arab (they are 20% of the Israel population) and thereby, signal out to the Arabs in the neighboring countries that he and his coalition partners are not anti-Arab. He needed to gain the trust of Israeli Arabs and work for the reduction of social divide that has alienated them from the mainstream. In this light, the important role of Joint List (group of three Israeli Arabs parties) can’t be ignored. Joint List has large number of sympathizers in Palestine and neighboring Arab countries. They, however, could not play decisive role in government formation but they can play key role in resuming Arab Peace initiative of 2002. It was an attempt to end Israel – Arab conflict in exchange of ‘just settlement’ of the Palestinian refugee crisis and complete with drawl from occupied territories including Jerusalem. This initiative, if revives, offer Israel Pan-Arab recognition in return for the creation of Palestinian statehood, which is also a major stumbling block in solving Palestinian issue because, Palestine does not recognize Israel as a state. And in this context, Netanyahu’s future policy becomes important. Netanyahu is a pragmatist leader and knows very well that the implications of ignoring Palestine statehood demand for longer period because of the changing dynamics of world politics. In this context, Palestinian elevation to ‘non member state’ by overwhelming majority of 139 votes, in United Nations generally assembly can be considered as a good step for the Palestinians. Though it is symbolic in nature and didn’t require UNSC council recommendation for it, but it certainly legitimatizes the Palestinian statehood demand. Also International Criminal Court’s has accepted Palestine as a member from April 1, 2015, thus, opening up possibility of Palestine moving the court on the matter of the settlements in violations of international law. Since, Palestinians seek recognition on 1967 borders, including Gaza, the West Bank and East Jerusalem. This would help Palestine to gather more support from international community for their demand of statehood. Netanyahu may not want to build unnecessary pressure against his government but that seems unlikely to happen in the upcoming days because of his differences with Obama and Europe. Israel has been strong strategic ally of US in Middle East region and enjoyed greater political support regionally and internationally. Israel gets financial and military aid from US. However, their bilateral relations has evolved from the from an initial US policy of sympathy and support for the creation of a Jewish homeland in 1948 to an unusual partnership that links a small but militarily powerful Israel balancing other competing interests in the region with US. But, the relations has started deteriorating in the recent past due to the disagreement between the two over the issues mainly on Palestinian issues, Iranian Nuclear deal, status of Israeli Arabs. The divide between the two leaders increases due to the rhetorical perception of Netanyahu about Arab minorities. Obama has often chided Netanyahu over the mistreatment of Arab minority residing in Israel. Since the establishment of the state of Israel, Arab minority have been marginalized socially, economically and politically. Successive government’s ignorance has been a major factor of marginalization. Since the election result has come out and 16 Members, 4 more than the previous, who are Arab from different parties, won the election. And hence, their active participation in Knesset, inside and outside the government would determine the future of the Arab communities. The strained relation between US and Israel has several repercussions on Israel’s image across the globe. It might lose U S firewall (backing) in UNSC as well as with Europe. If Europe were to label or banning products made in Israeli settlements in the occupied West Bank, put travel ban on Israeli leaders then it would be difficult time for Netanyahu and his government. It would lead to international isolation of Israel. That would cost Israel economically (e.g. reduction in aid, foreign capital) and politically. And thus the immediate challenge before Netanyahu is to reinstate and reevaluate the relationship with US. However, despite of patchy relation between Obama and Netanyahu, Israel has received more American foreign aid since the end of world war II than any other country and will continue to getting funds of more than US $3billion annually in mostly military funding. US military will continue to work closely with Israel Defense force to maintain Israel’s military edge against its regional adversaries. Israel is a much needed partner for US too as long as Iran nuclear deal did not materialize. If US manage to pursue Iranian nuclear deal successfully then it would be difficult for Israel to remain status-quo. Impact of Israel’s election result in Middle East can be seen in the context of fragile Middle East, growing influence of ISIS and Hezbollah in the region from Syria to Iraq and Iran’s nuclear deal with U S. After many failed attempts of past, Iran has managed to strike a deal with six world powers led by U S. The deal is important from two perspectives. First, Iran would get relief from (some) economic sanctions and thereby able to put derailed economy on track. Second, it would establish Iran as an important regional player and increase its influence. In addition to this, most importantly, it could be said that it has managed to reduce its differences with Obama administration, to an extent, and put to an end to its long isolation from world politics. On the other side, Israel has been criticizing the nuclear deal and expressed its anguish and fear. And it is largely because of Iran’s emergence as regional player minimizes Israel’s position in the region as well as increased threat from Iranian backed Hezbollah. Hezbollah has been major security concern for Israel in the past. On the name of common enemy, Hezbollah has co-operated with Hamas to fight with Israel, even though they support two different faiths, Shia and Sunni respectively. In fact, Hezbollah has now widened its regional presence that extends from Golan Heights, Lebanon and Syria to Iraq. Gradually, they are increasing their zone of influence and imposing major security concern for Israel. Interestingly, Hezbollah have capitalized on the space created by ISIS, a radical Islamic group, which has also increasing its footprints in Israel’s neighborhood. The sentiments ISIS is riding all across the region, it won’t be an exaggeration to say that they may find sympathizers in Palestinian Arab as well as in Israeli Arabs, who wish to take their support and retaliate against Israeli government. ISIS may attempt to destabilize Israel by stirring the sentiments of Arabs (Israeli and Palestinian) who have been fostering hatred about the Netanyahu government due to its decade’s of apartheid behavior. And in this context Netanyahu’s actions and social plan’s to win over the support of 20 percent of Israeli Arab would be an important step for confidence building measures among Palestinians. Consequently, it would also help to create conducive environment for the resumption of Arab-Israeli peace. Doing so, Netanyahu would not only able to the change Palestinian perception and demonstrate adherence of his past commitment for the two state solutions but revive chance to repair its ties with Obama administration and to continue getting their support. Because, Israel can’t afford to lose U S support in this hour of need. Israel is surrounded by hostile neighbors and failed states like Syria, Yemen, where Iran and Saudi is waging proxy war against each-other. Although, Israel may get extended support from Saudi to counter Iran, due to their long acrimonious relationship but Saudi may be unable to shield Israel from international pressure like U S and thus Israel might look for a strong regional partner who support their cause regionally and internationally. In this light, Israel long strategic relationship with India could not be sidelined and need to explore. Netanyahu reelection will have significant impact on India- Israel relationship. Since Netanyahu is grappling with domestic issues and seemingly loosing political space internationally due to overt differences with Obama and European states. Therefore, in this situation he would want to forge stronger ties with India. So in order to understand that how this new relationship would grow in the future first we need to explore that how has been India-Israel relationship in past evolved. India and Israel have shared colonial past. Both were British colony and born within months of each other. 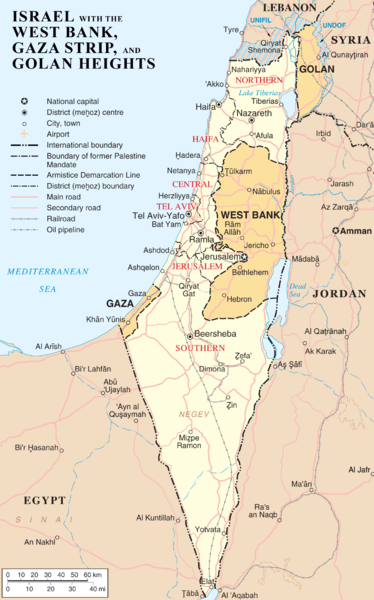 While the former became an independent state on August 15, 1947, the latter was born on May 14, 1948, following the decision of the United Nations to partition British Mandate Palestine. India opposed the mandate. India, even, voted against Israel’s admission into the UN in 1949. The reason for India not to stand with Israel can be traced back into Gandhi’s editorial of November 11, 1938, in Harijan, a widely circulated Indian weekly. Gandhi wrote that “My sympathies are with the Jews … but my sympathy does not blind me to the requirements of justice. The cry for the national home for the Jews does not make much appeal to me … Why should they not, like other peoples of the earth, make that country their home where they are born and where they earn their livelihood? Surely it would be a crime against humanity to reduce the proud Arabs so that Palestine can be restored to the Jews partly or wholly as their national home.” His views was extended and expressed by Nehru in his establishment of NAM. Nehru was among the founder members of the Non-Aligned Movement (NAM), along with Presidents Josip Broz Tito of Yugoslavia and Gamal Abdul Nasser of Egypt. His bonding with Nasser and other member of the movement put him in difficult position to overtly support Israel. But beside this, on the other side, Israel grouped together with U S and Europe; and enjoyed their support. During the cold war, India though did not favor any block of power but USSR assistances in the hour of needs, such as contributed in setting industry and veto in UNSC during 1971 war, perceived by many as India’s inclination towards USSR. In fact, during cold war, Nehru adopted foreign policy of standing with Palestine and opposing Israel. Although, India did not share any formal relationship with Israel until 1960 and it was primarily because India was occupied with domestic issues of lack of development, unemployment, hunger and poverty. Consequently, there was a kind of stagnation in the realm of foreign policy. At the same time, Israel was not perceived as a potential regional player by Indian leaders with whom India can engage at the cost of its Arab allies because after independence, a large number of Indian workers migrated to the Gulf. The money that they sent back to India formed a sizeable chunk of India’s foreign exchange inflow. Though, India has been critical about Israel’s dealing with Palestinian and its settlement process in the occupied territories. But, Israel has helped India when it needs most. Israel extended its unconditional support and military assistance during India’s war with China (1962) and Pakistan (1965, 1971). India was criticized by Western nations in war with Pakistan in 1971 which crated Bangladesh. But, Israel was the first country to recognize Bangladesh, following India 1971 war with Pakistan. It is interesting to note that despite of patchy relationship and no such formal diplomatic ties; Israel did not only support but stood with India also. Acknowledging these facts, India established full diplomatic relations with Israel in 1992 during Prime Minister Narshima Rao tenure. It is interesting to note that Prime Minister Rao also continued the old Congress policy on Israel’s and refer it as a ‘Zionist regime’. But, on the other side, it was the time India liberalized its economies and world politics was taking major turn due to end of cold war. It was imperative for India to establish ties with other states in all sectors of the economy and for that matter India valued Israel past unconditional support. The trade between the two countries in defense, agriculture could not take off due to the legacy of cold war foreign policy of Nehru continued by the successive congress governments. Though, India could not publicly enunciate its ties with Israel rather it sided with Palestinian cause. Congress led and BJP led government has been following different policy while dealing with Israel. It has been observed that whenever rightwing government came in power ties have increased visibly and whenever congress was in power, it has downplayed the relationship by maintaining the age old legacy foreign policy of Nehru on Israel. For instance, L K Advani is the first senior minister visited Israel in 2002; Brajesh Mishra gave talk in Israel university, at the same time, Man Mohan Singh in his two decade long tenure never visited Israel. In this context, Netanyahu reelection could be seen as a positive indicator for both the government to renew the relationship with new hopes and aspiration. If Modi choose to visit Israel then he would be the first PM to visit Israel and therefore, it would be seen as a paradigm shift in Modi ‘Link west’ foreign policy parallel to his ‘Act East Policy’. Although, there is no such formal institutionalization of ‘West Link’ policy but it has been echoed by the high echelons of government. Since, Netanyahu has already invited Modi to visit Israel and it is very much fitting into Modi’s chance to make a bid for the Make in India program. India’s growing trade ties with Israel in sectors of defense and agriculture can be considered as major step in the direction of improving relationship. It is noteworthy to mention that India and Israel trade has grown faster and reached up to 600 million post Modi election. This is a sign of increased potential of trade. Nonetheless, Israel and India have shared pain too. Both are victims of Islamic terrorism and surrounded by hostile neighbors. 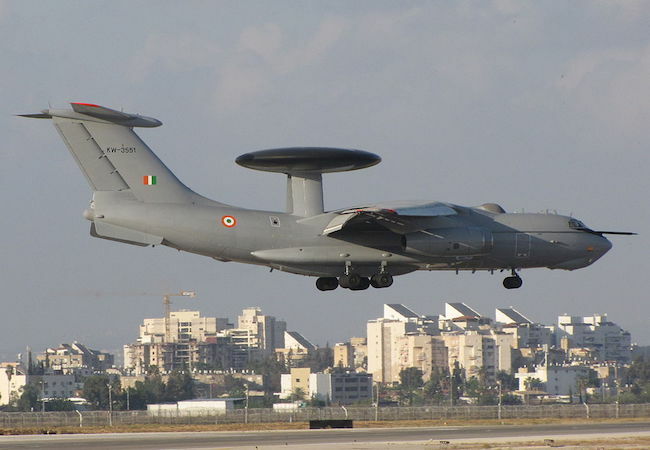 Israel’s high-grade weapon and technologies for counter terrorism is much needed for India. Israel during Kargil war in 1999 extended surveillance equipment and weapon to fight with Pakistan. It must not be forgotten that Israel is agreed to share technology ‘know-how’ to India unlike other trade partners for example, USA. Israel has been co-operating despite of India’s objection to its settlement in occupied territories and support of Palestinian statehood demand. Now, India has moved away from his past position of opposing Israel and has recognized Israel its strategic partner. Since Israel and Saudi Arab have never expressed their overt dissatisfaction to India’s relationship with them. And thus keeping this in mind India needs to build up successful and healthy relationship with Israel’s new government. Although, Netanyahu used poor tactics of wooing voters to win election, but fundamental issues are remain alive and needed much attention. His post election attempts to patch up with U S, clearly reflects his hidden desire to work along with U S for the security of his own country. It is undoubtedly a powerful military state and self-sufficient to protect and promote its national interest. But it also need to understand that the Middle East is facing a unique crisis, where there is a weak central government which are helpless in fighting with non-state actors like ISIS and thus the scalability of the war is high and unknown. Israel may have hard power but for the enduring peace and stability in the region it needed strong regional and international support. And thus, it would be premature to conclude that Netanyahu would repeat his old policy of attack and survive rather revisit and renew his policy and relationship in the view of current crisis. Amit Kumar Jha holds Master's degree in Diplomacy, Law and Business from Jindal School of International Affairs. He currently works for Dhyeya E-learning, Delhi, as a Researcher, where he develops content for current international events. He is also a researcher at Wikistrat, South Asia desk (an online consultancy on geopolitical issues) and regularly contributes to the simulation organized by Wikistrat.